Stand with us at the center of the world’s most powerful network and gaze into the bright light of the future. We’ll discuss enormous efficiency increases, from both technical and business perspectives, to help the global cable industry join forces and become bigger, sharper and faster, together. It’s time to accelerate and focus on a collective discovery and open exchange of new ideas from everywhere in the industry. We heard loud and clear that you want to connect like never before. Request 15-minute meetings with anyone on your schedule when we launch our new Summer Conference App. Where the ideas become reality. Dig in deep to the work that’s in front of us right now. It’s critical that we increase the pace of both introducing new technology and getting it widely deployed. How do you fix BBQ when it ain’t broke? More Sauce. More Music. More Sunshine. Sign up for Summer Conference updates. Interested in Showing at Summer Conference? 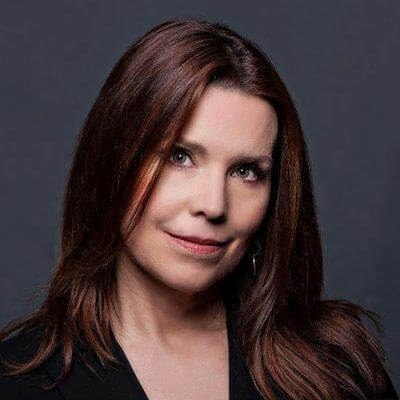 We want you to meet Annie Duke, a woman who has leveraged her expertise in the science of smart decision making to excel at pursuits as varied as championship poker to public speaking. For two decades, Annie was one of the top poker players in the world. In 2004, she bested a field of 234 players to win her first World Series of Poker (WSOP) bracelet. The same year, she triumphed in the $2 million winner-take-all, invitation-only WSOP Tournament of Champions. In 2010, she won the prestigious NBC National Heads-Up Poker Championship. Prior to becoming a professional poker player, Annie was awarded the National Science Foundation Fellowship. Because of this fellowship, she studied Cognitive Psychology at the University of Pennsylvania. Chief Executive Officer, Shaw Communications Inc. 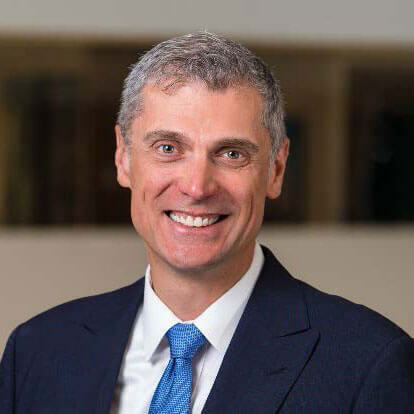 Since 2010, Brad Shaw has led Shaw Communications through a series of transformative and strategic transactions that have positioned Shaw as an enhanced connectivity company. Overseeing Shaw’s senior executive team, Brad’s vision is rooted in sharpening the company’s focus to deliver exceptional experiences to customers and creating opportunities to generate long-term, sustainable growth for all stakeholders. Under Brad’s direction, Shaw has become a growth-oriented and customer-focused enhanced connectivity provider bringing disruption and innovation to the marketplace through transformative deals and groundbreaking product launches. James Andis is responsible for the HFC Technology strategy in nbn (Australia’s National Broadband Network). 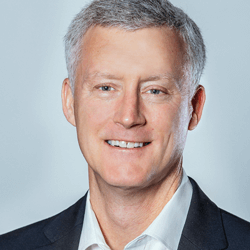 In this role, he is focused on helping nbn understand and evaluate future & advanced technologies in the HFC industry, and their suitability for incorporating these technologies into nbn’s HFC technology evolution roadmap. 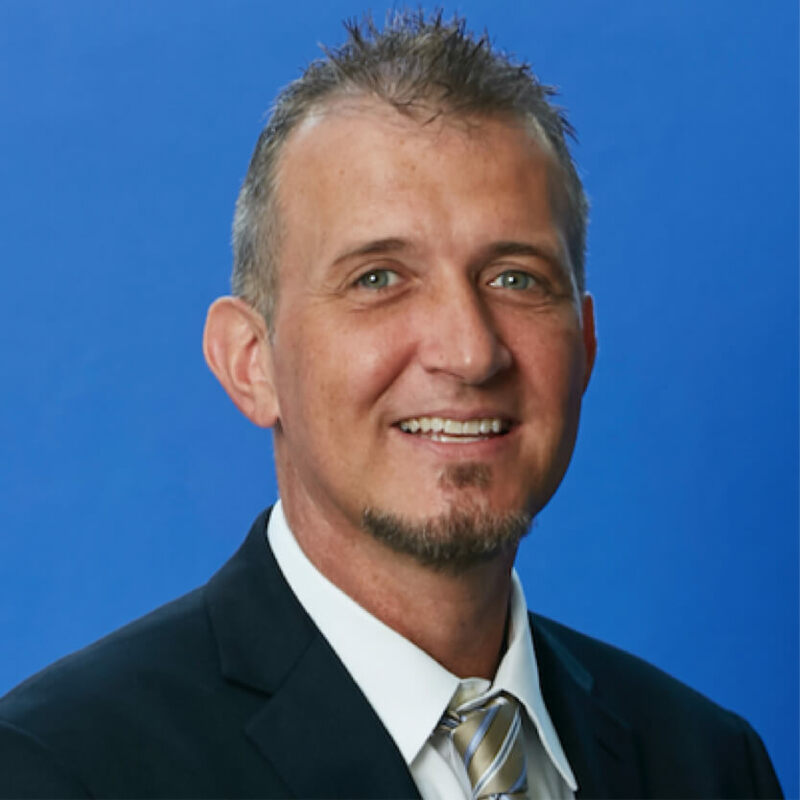 He joined nbn 8 years ago, and was responsible for establishing and launching nbn’s layer 2 wholesale service over fibre access (GPON technology), including advanced layer 2 quality of service features which were engineered to meet the broad requirements of both residential and business services in the Australian market. 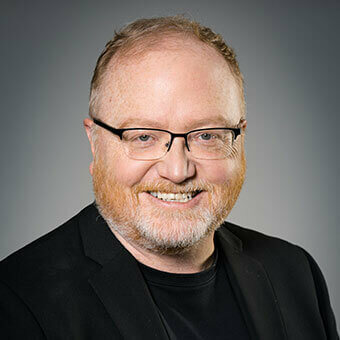 James has more than 20 years of experience in the communications industry across Fibre, xDSL, and HFC broadband networks and services with expertise in network architecture, engineering and product engineering. Before nbn, James worked in Telstra; Australia’s largest Communications provider, for 13 years – where much of his experience and expertise in these areas was gained. James studied and graduated from Latrobe University in 1997 (Melbourne Australia) with a Bachelor of Electronics Engineering majoring in Communication systems, and lives in Melbourne. 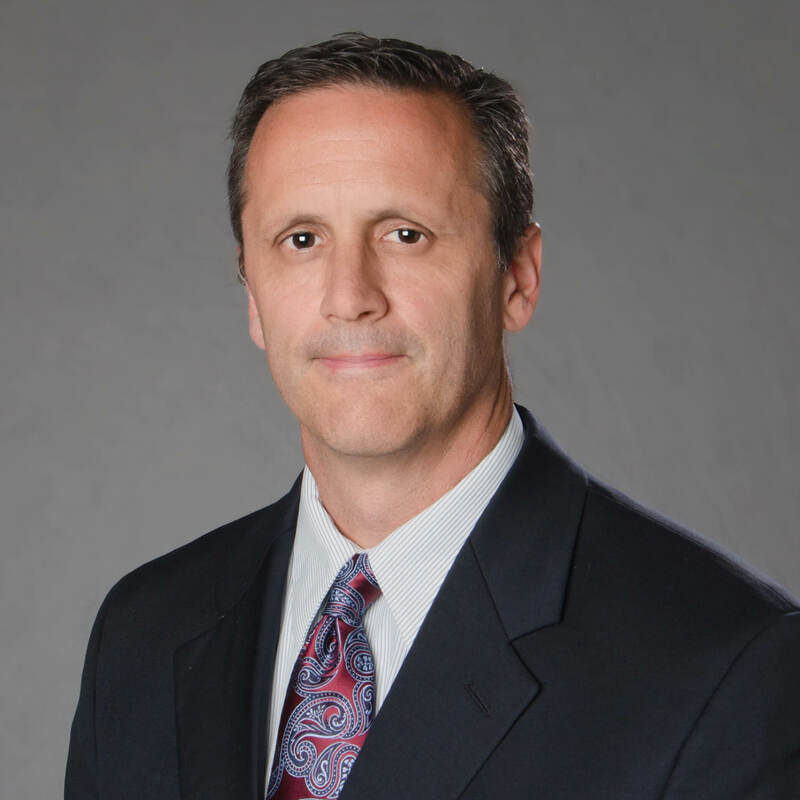 Craig Cowden is Senior Vice President, Wireless Technology at Charter Communications. 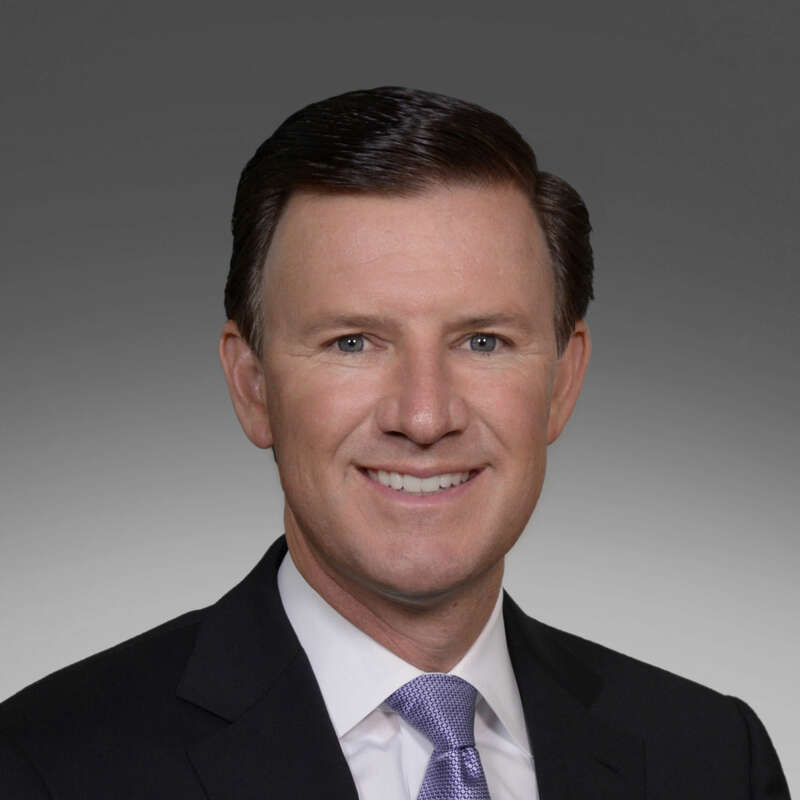 Mr. Cowden joined Bright House Networks in [2008/2009] and remained with Charter when its transactions with Time Warner Cable and Bright House Networks were completed in 2016. He leads the network architecture and engineering of all wireless initiatives at Charter, including next generation network planning, mobility service architectures and all WiFi variants. He is responsible for next-gen wireless initiatives including 5G fixed and mobile technologies. 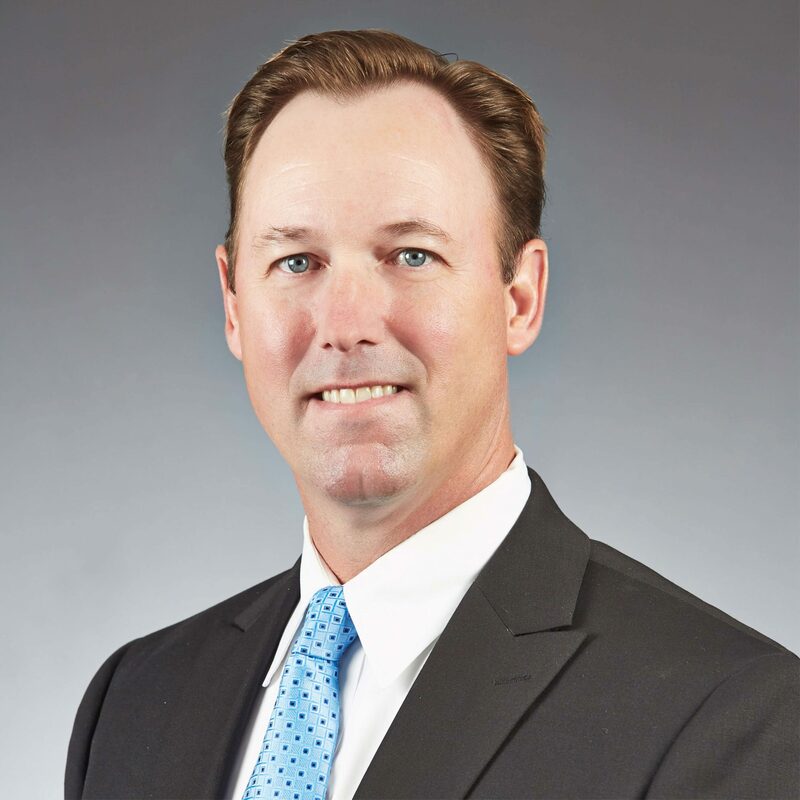 Mr. Cowden most recently served as Chief Network Officer and Senior Vice President, Enterprise Solutions at Bright House Networks. He was responsible for the engineering and operations for all video, data, voice and wireless services. He also led the direct sales, engineering, product management, and marketing for all fiber-based commercial services. 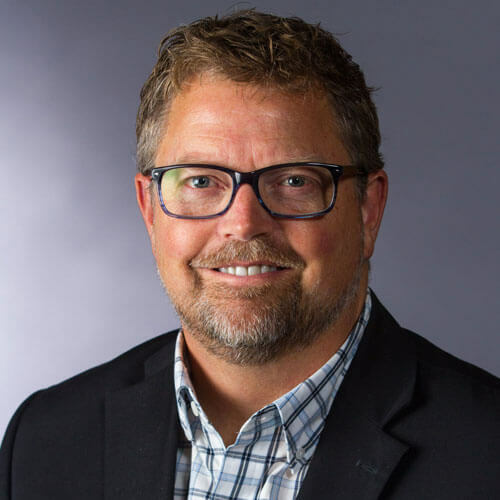 Before Bright House Networks, Mr. Cowden served in a variety of management roles in wireless network engineering and operations at Sprint for 16 years. Mr. Cowden received a B.S. in engineering from the University of Michigan and an MBA from the University of Kansas. Ryan is a hacker, camera geek, filmmaker, and light field evangelist. He founded Visby in 2016 and has written and spoken extensively about VR and holographic capture, including at NAB, SVVR, AWE, and other industry trade shows. Prior to founding Visby, Ryan created immersive media for the fitness industry – virtual trail runs and bike rides for exercise equipment. He built physical camera rigs, GIS-enhanced optical stabilization software, and novel 3D conversion techniques. He also broke a rib, two bike helmets, and many, many lenses along the way. He has hacked on software and hardware, developing his hardware chops as an early employee at open-access prototyping lab TechShop. He also spent ~10 years gigging in the SF Bay Area as a cameraman, during which time he built a number of unusual optical systems for in-camera visual effects. His interest in light fields dates back to a brief consulting gig with Lytro (then Refocus Imaging) back in 2009. It is only recently that VR has made his interest in holographic imaging more practical. Drew Davis is the Executive Director of WiFi Technology at Cox Communications. In this role he is responsible for development of the existing WiFi services platform and new wireless technology deployment. Drew has over 25 years of telecom engineering experience with a focus on wireless network design and wireless technology strategy. He has previously held leadership positions within wireless consulting organizations and within national wireless carriers. In those roles he has led large-scale buildouts of cellular networks, major network technology migrations and deployment of DAS and WiFi networks into public venues. Drew holds an Electrical Engineering degree from Georgia Tech. Noopur Davis is Senior Vice President, Chief Product and Information Security Officer for Comcast. 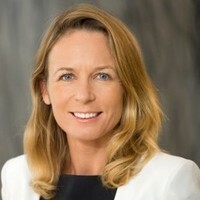 Her responsibilities include product security and privacy, information and infrastructure security, cybersecurity risk management, security architecture, security engineering, security operations and incident response, security intelligence, and analytics, identity management, and Legal Response Center for Comcast Corporate and Comcast Cable businesses. Noopur’s teams are doing groundbreaking work in the use of blockchain for IoT security, in building streaming security data integration platforms, and in using machine learning to build models for early threat detection. She is a champion of women in technology, is the executive sponsor of Comcast/NBCUniversal TechWomen, on the steering committee of Comcast Technology, Product, eXperience Diversity Council, and an executive sponsor of the Comcast Asian Pacific Americans Employee Resource Group. Noopur joined Comcast from Intel, where she served as Vice President, Global Quality, ISecG. Previously, she was a Visiting Scientist and Senior Member of Technical Staff at Carnegie Mellon University Software Engineering Institute, Principal of management consulting firm Davis Systems, and held various leadership and technical positions in Fortune 500 companies. Noopur holds a Master of Science in Computer Science from the University of Alabama and a Bachelor of Electrical Engineering from Auburn University. She is a member of the Institute of Electrical and Electronics Engineers (IEEE), and the Association of Computing Machinery (ACM). She is the recipient of the WICT/SCTE•ISBE/Cablefax Women in Technology award for 2018. Mr. Elliott joined CableLabs in 2010 and is responsible for engaging the startup community to source new innovations for the cable industry, and for developing and commercializing game-changing innovations for the cable industry. In addition, his team assesses markets, competition, costs, and technology trends on behalf of CableLabs members. Previously, Mr. Elliott held senior executive operating and strategy roles at Level 3 Communications and Unity Business Networks, and also was president and founder of Practiq Strategy Consultants. Mr. Elliott co-founded the International Softswitch Consortium in 1999 and served as its President and Chairman for three years. He began his career in software development and network architecture, and is an inventor on over two dozen patents and continuations. After graduating with my degrees in electrical and electronic engineering, I started working for Shaw in the Vancouver region as an outside plant engineer. The experience I gained with HFC/FTTH design and construction allowed me to join the Access Architecture & Technology team in the Calgary corporate office, where I focus my efforts on future access technologies such as FDX, along with architectural progression for Shaw. 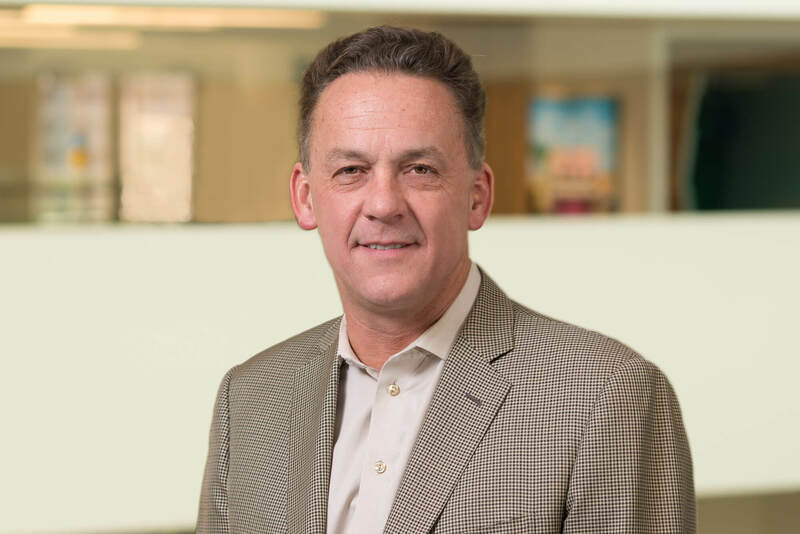 Executive Vice President, Chief Product and Technology Officer Kevin Hart of Cox Communications has transformed the company’s Product and Technology team into a unified organization that is driving business results and enabling Cox to be even more innovative and competitive in the marketplace. 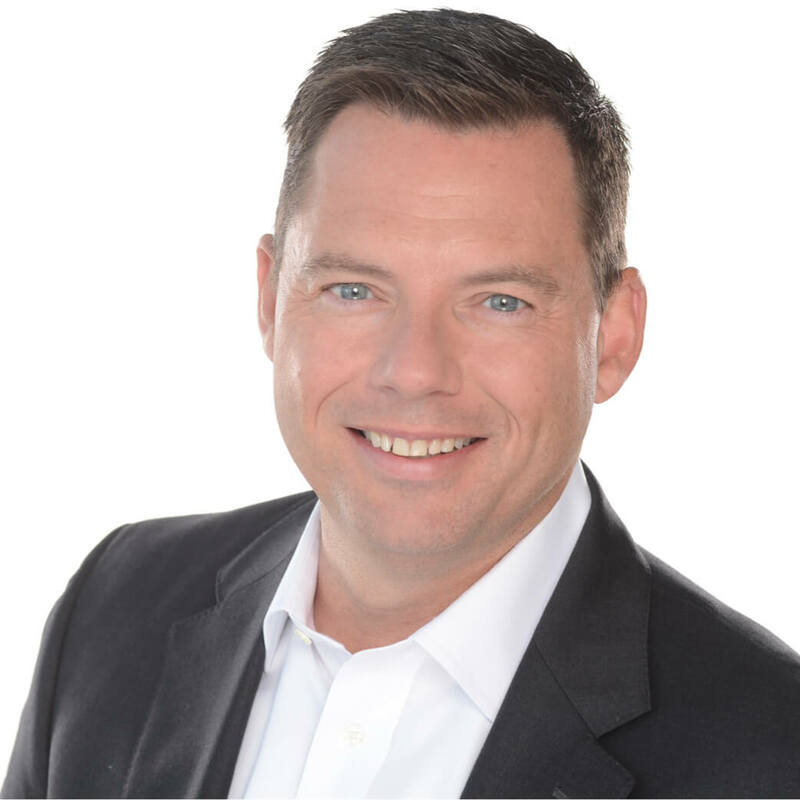 He has developed and implemented a multi-year Transformation Plan that has deployed game-changing improvements in product launches, technology platform investment, cybersecurity, business process discipline, and people development. He has aligned and improved the team by centralizing, standardizing, and inspiring Product Development and Management, Enterprise IT Development & Operations, Security, Engineering, Network Operations, Outside Plant Construction and Service Assurance to create a single, high-performing team. Under his leadership, Cox has launched innovative new products and services across its markets to drive revenue, including G1GABLAST, the company’s highest-speed Internet service; New Contour, the company’s flagship video product; Go All-Digital, an upgraded video product; Cox HomeLife, the company’s professional security monitoring and home automation service; and a portfolio of leading commercial products for Cox Business customers. Kevin is leading Network Transformation 2.0, which is a plan for Cox to improve the speed, reach and reliability of its network by investing billions to enable gigabit speeds for residential and business customers. In addition to new products and services, Kevin and his team have improved the customer experience and simplified the business with enhancements to the company’s e-commerce and other digitally-enabled customer self-service channels. Kevin has a proven track record of successfully delivering outstanding business results in additional roles including chief information officer for Clearwire, the first national 4G wireless carrier in the U.S.; chief information officer of Level 3, the world’s largest internet protocol communications provider; and vice president and global practice leader at Capgemini Consulting, formerly Ernst & Young. Kevin holds an MBA from the University of Notre Dame, with honors, where he served as the MBA class president. He also holds a BS in Electrical Engineering from the University of Tulsa, where he was a four-year starter, MVP, captain, and first team Academic All-Midwest Region for their NCAA record-holding Division I soccer team. He is a dedicated member of industry organizations such as CableLabs, SCTE and NCTA. Kevin and his wife Sheri are the proud parents of three active daughters. Committed to the community Kevin and Sheri are the founders of Swim Across America Atlanta, raising more than $1.8 million for pediatric brain cancer research at Children’s Healthcare of Atlanta. 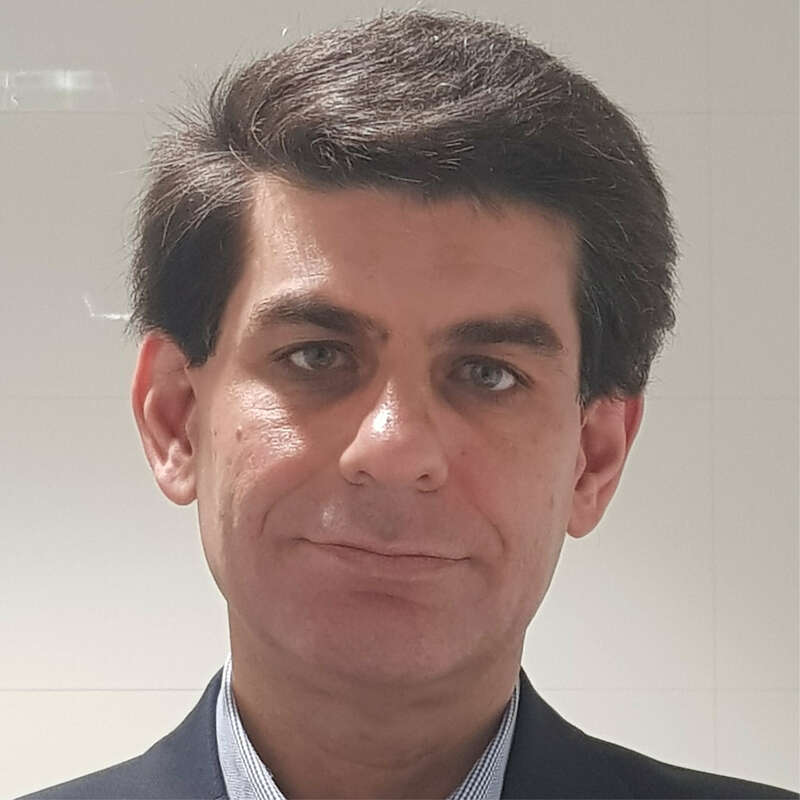 Asad Haque has over twenty-five (25) years of progressive responsibilities in Information Technology specializing in @Scale security for API’s, IoT devices and embedded systems. Designed Blockchain based decentralized and autonomous authentication and authorization for constrained devices. Prior to joining Comcast, Asad pioneered Managed Security Services for Netrex Secure Solutions, including Firewall in the Cloud architecture and managed Intrusion Prevention Service. He possesses extensive hands-on experience as a Chief Application and Network Architect, including experience in systems management, information security, software development, large secure network (TCP/IP) design and deployment, departmental oversight and management. Dr. Howald has over 30 years of technology and executive experience in commercial and military communications systems. He is Vice President of Network Architecture at Comcast, focused on the evolution of cable systems and services, future network architectures, and emerging broadband technologies. He held a similar role at ARRIS and the former Motorola Mobility. Prior to this, Dr. Howald was the Vice President of Engineering at Xytrans, specializing in millimeter wave products for cellular backhaul, homeland security, and people screening. He was also the Director of Systems Engineering with General Instrument and Motorola’s prior Broadband Communications Systems division. 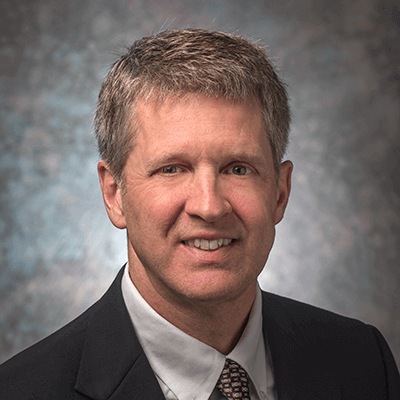 Dr. Howald has taught graduate courses in communications and wireless systems engineering, has published over 150 papers, and has multiple patents issued and pending. He has a BSEE and MSEE from Villanova University, a Ph.D. in Electrical and Computer Systems Engineering from Drexel University, and a Master’s of Business Administration (MBA) from DeSales University. Senior Vice President, Emerging Technology & Innovation, Charter Communications, Inc.
Andrew leads the charge for introducing, developing and commercializing new technology that will enable enhanced customer experiences and help Charter expand into new marketplaces. Prior to Charter, Ip served as Senior Vice President and Managing Director at Madison Square Garden Ventures. And, before MSG, he spent nearly five years at Cablevision where he held a number of positions, including leading the teams responsible for the design and operation of the WiFi and HFC networks, as well as leading the Optimum Labs group. In addition, he was a Partner at Meridian Advisory Group, where he was responsible for advising clients in the Cable, Wireless, and Media segments. Ip holds a Master of Business Administration degree from New York University’s Stern School of Business and a Bachelor of Science degree in Electrical Engineering from Lehigh University. 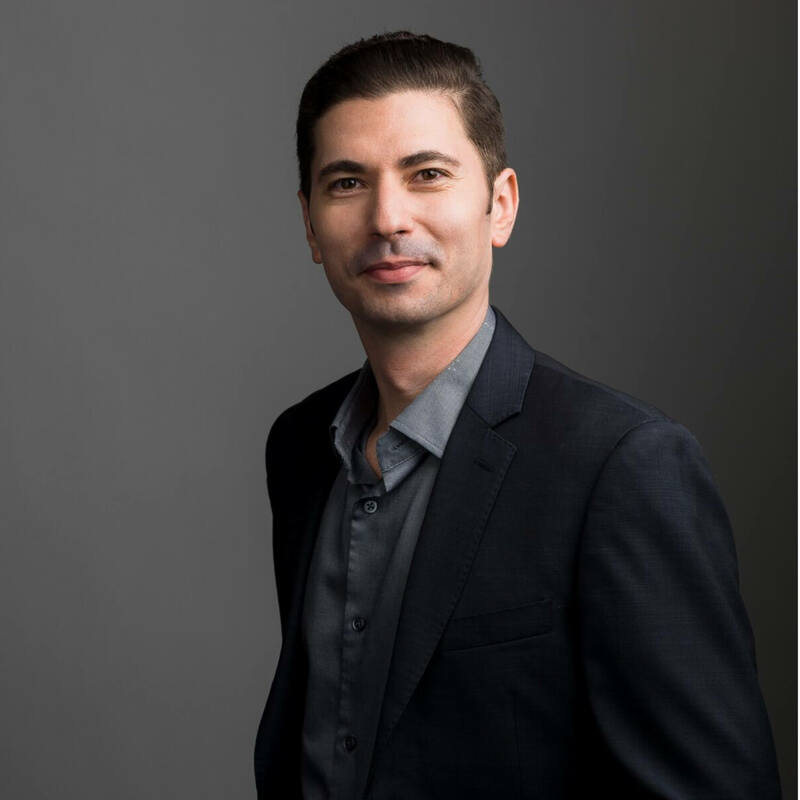 CEO and Founder, Light Field Lab, Inc.
Jon Karafin has dedicated his career to innovation in live action cinema, VFX post-production, and light field technology – transforming bleeding-edge concepts into market ready solutions. As CEO of Light Field Lab, he applies this expertise to the development of a next-generation holographic technology. Karafin has an extensive background in light field and visual effects technology, having previously served as Head of Light Field at Lytro, Vice President of Production Technology at RealD, and as Director of Production, Technology, and Operations at Digital Domain. During his tenure, he was responsible for ushering in a new era of cinematic capture through the launch of Lytro Cinema, as well as delivering technology and content for many of the all-time highest grossing feature films, including Peter Jackson’s The Hobbit, Michael Bay’s Transformers 3, and Tim Burton’s Alice in Wonderland. Samian Kaur is a Principal Engineer at Comcast Cable Corporation. Presently, she is an architect in the wireless strategy team at Comcast, with a focus on CBRS and 5G. 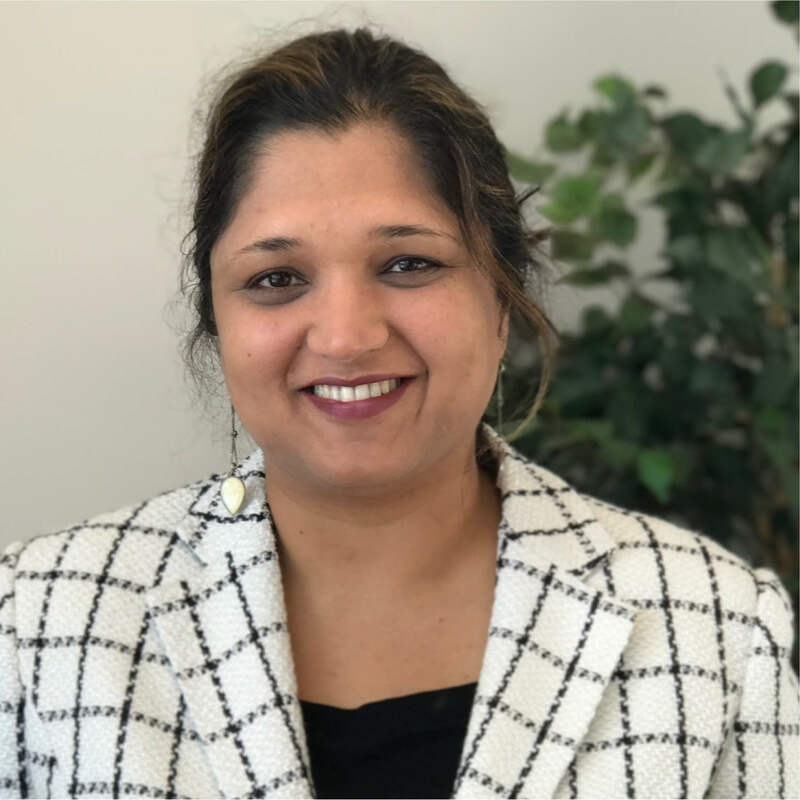 Ms. Kaur has over seventeen years of experience in the telecommunications industry, in the course of which she has held various positions in engineering and management, working towards research, development and standardization of fundamental 3G, 4G and 5G wireless technologies, including 3GPP and 802. She holds 29 granted patents, with several pending U.S. and internationally. 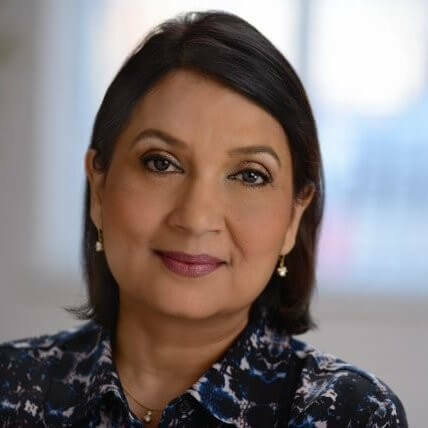 Before Comcast, Ms. Kaur worked at InterDigital Communications, Yahoo Search, Mangrove Communications and Lantern Communications (acquired by C-COR). Ms. Kaur holds graduate degrees in Technology Management and Computer Engineering from the University of Pennsylvania (Wharton) and Rutgers University, respectively. 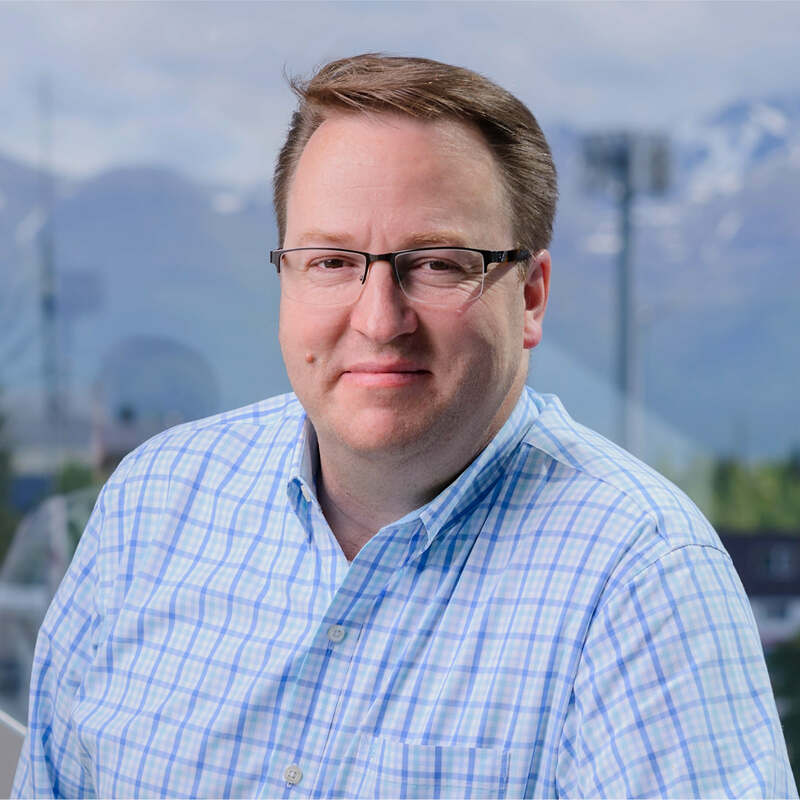 Carl Leuschner is Senior Vice President of Internet, Voice, Customer Websites and Identity; leading Charter’s product strategy, development, and lifecycle management in these areas. Carl’s team is focused on delivering differentiated product offerings, best-in-class self-help solutions, and frictionless but secure customer interaction with Charter services. He oversees all aspects of these services for both residential and small-to-medium business customers. Carl has held leadership positions in the Internet business line of the cable industry since 2000 at AT&T Broadband, Adelphia Communications and as a consultant to top-tier MSOs. Carl is a veteran that served his country in the U.S. Navy as a Nuclear Submarine Officer. He received a BS in Aerospace Engineering from California Polytechnic University and an MBA from the Kellogg School of Management at Northwestern University. Guy McCormick is the senior vice president of Technology Engineering for Cox Communications. He leads the operational transformation and technology strategy for the enterprise engineering organization. His duties include strategic oversight and operations for network infrastructure and platforms, including backbone/metro networks, critical facilities, access and edge technologies. Over the course of his dynamic, 22-year career with Cox, Guy has served in several key roles. He’s led functions that include portfolio management, technology transformation, technical operations and engineering. He previously served as vice president of technology planning and resource management. In this role, he was responsible for financial management, field engineering operations, resource and portfolio management. Guy is currently a contributing member on several technology programs and actively participates in CableLabs and SCTE initiatives. He has a BS in Mechanical Engineering from North Carolina State University and an MBA from East Carolina University. Guy and his family live in Suwanee, Georgia, where they are active members in their community. As president and CEO of CableLabs, Phil McKinney’s job is to create the future of broadband communication and move the industry forward. With a strong focus on innovation, he is responsible for leading the development of technologies and specifications for the secure delivery of high speed data, video, voice and next generation services. Phil joined CableLabs after retiring in December 2011 as CTO at Hewlett-Packard Company. Since 2005, he has shared his expertise in innovation and creativity, in an approach he refers to as “paying it forward,” through his award winning weekly podcast Killer Innovations™. Bill Meehan, P.E. is the world’s leading authority on the application of geospatial technology to the electric utility business. 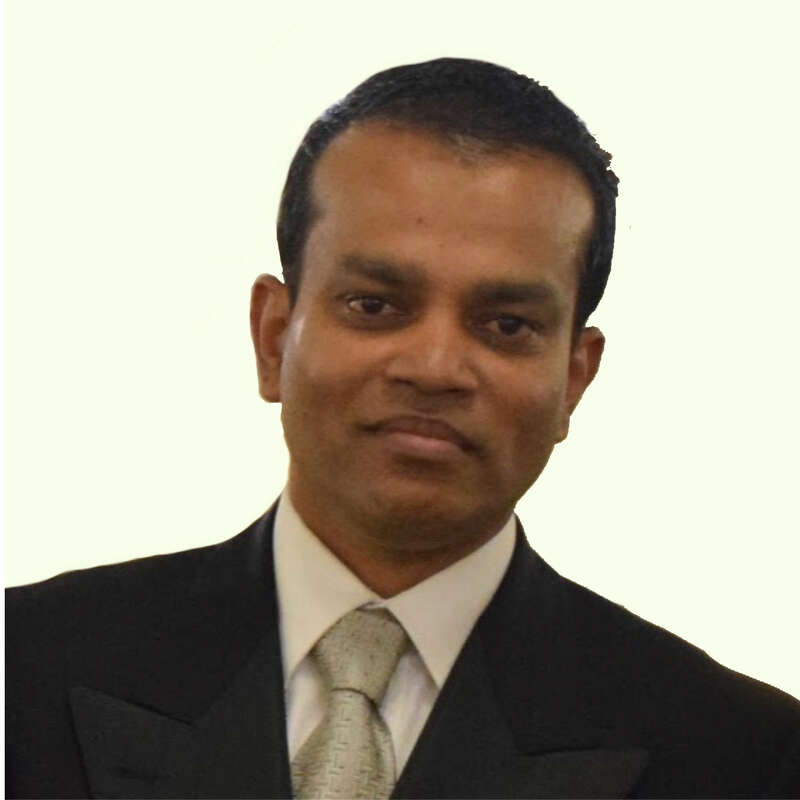 Author of four books: GIS for Enhanced Electric Utility Performance, Modeling Electric Distribution with GIS, Empowering Electric and Gas Utilities with GIS and Power System Analysis by Digital Computer, he is a sought-after speaker and thought leader. His blogs have been widely read. He has lectured extensively and taught courses at Northeastern University and the University of Massachusetts. Bill holds a B.S. in Electrical Engineering from Northeastern University and an M.S. in Electric Power Engineering from Rensselaer Polytechnic Institute. Prior to joining Esri, Bill was the vice president of electric operations for a major electric and gas utility. Bill is a registered engineer in the Commonwealth of Massachusetts. He currently leads the global utility marketing practice at Esri, the world’s largest geographic information system (GIS) software company. Jaime Miles is the Charter Senior Vice President for Video Operations. Jaime’s team is responsible for engineering, planning, building and operating the video ecosystem at Charter. Prior to joining Charter Jaime was the Group Vice President of Content Services and Next Generation Client Development at Time Warner Cable where his team was responsible for the architecture, engineering, development and operations of Time Warner Cable’s video infrastructure as well as next generation IP clients. Prior to Time Warner Cable Jaime worked for Level 3 Communications where he held various roles including leadership of the IP engineering organization as well as a three year assignment to London where he led the product, engineering, and operations teams responsible for introducing CDN and Vyvx Video services into the European market. Jaime currently serves on the board of BeautifulResponse.org, a non profit supporting an orphanage in Uganda, as well as Ascent Community Church. Jaime holds an M.B.A. from Colorado Christian University and a Bachelors Degree from the University of Colorado Boulder. In 2013 Jaime participated in the SCTE-Tuck University Executive Leadership Program. In 2010 Jaime was selected as a member of the Streaming Media Dream Team and in 2016 as a recipient of Cablefax’s “The Most Innovative People in Multiscreen” award. Jaime has been awarded several patents associated with his work in both networking and video. Jan Neumann leads the Comcast Applied Artificial Intelligence Research group with team members in Washington, DC, Philadelphia, Chicago, Denver and Silicon Valley. 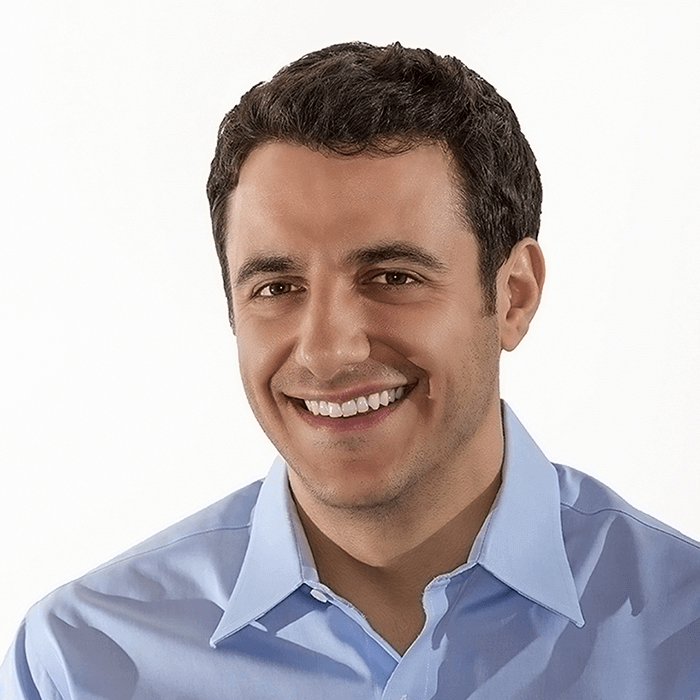 His team combines large-scale machine learning, deep learning, NLP and computer vision to develop novel algorithms and product concepts that improve the experience of Comcast’s customers such as the X1 voice remote and personalization features, virtual assistants and predictive intelligence for customer service, as well as smart video and sensor analytics. Before Comcast, he worked for Siemens Corporate Research on various computer vision related projects such as driver assistance systems and video surveillance. He has published over 20 papers in scientific conferences and journals, and is a frequent speaker on machine learning and data science. He holds a Ph.D. in Computer Science from the University of Maryland, College Park. 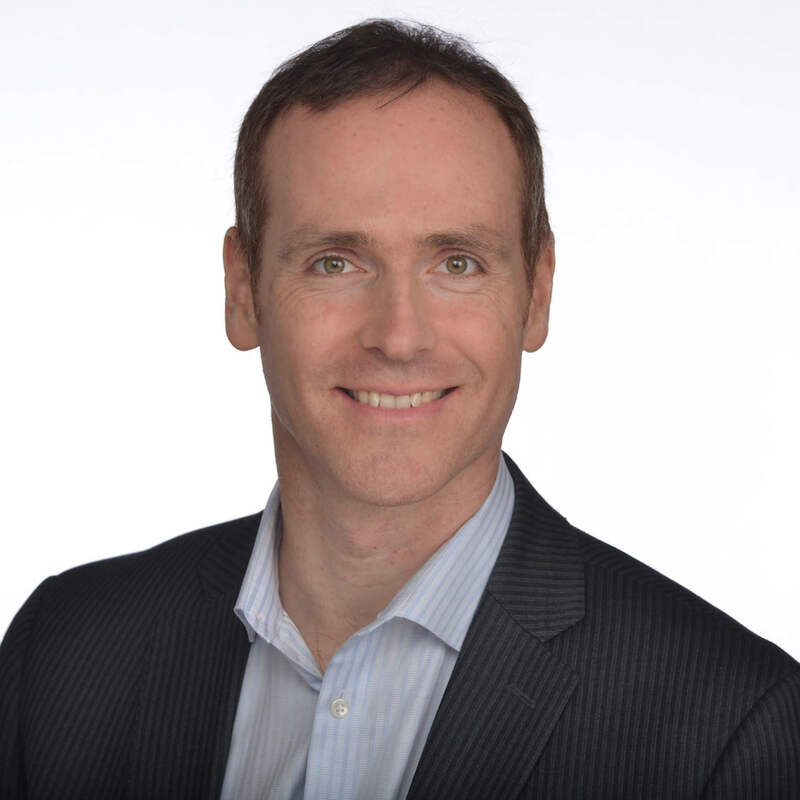 As Senior Vice President and Chief Technology and Strategy Officer, Mr. Noiseux is responsible for Cogeco’s corporate strategy and strategic planning process, and for the development of emerging technology selection and deployment plans. He acts as a partner and trusted advisor to officers and members of the senior executive team at both the corporate and business unit levels, to identify technical opportunities to outperform competitors. Mr. Noiseux has more than 20 years of broad experience in communications, defining and promoting vision, leading execution, and delivering large, cutting-edge technology programs to market. Most recently, he was Vice President Research & Development at Accedian Networks, where he was responsible for product development and for the CTO office. Previously, Mr. Noiseux also held several senior research and development roles at Alcatel-Lucent. He holds a dual eMBA from the Université du Québec à Montréal and the Université Paris Dauphine, a Master of Science from INRS Télécommunications, and a Bachelor of Engineering from McGill University. 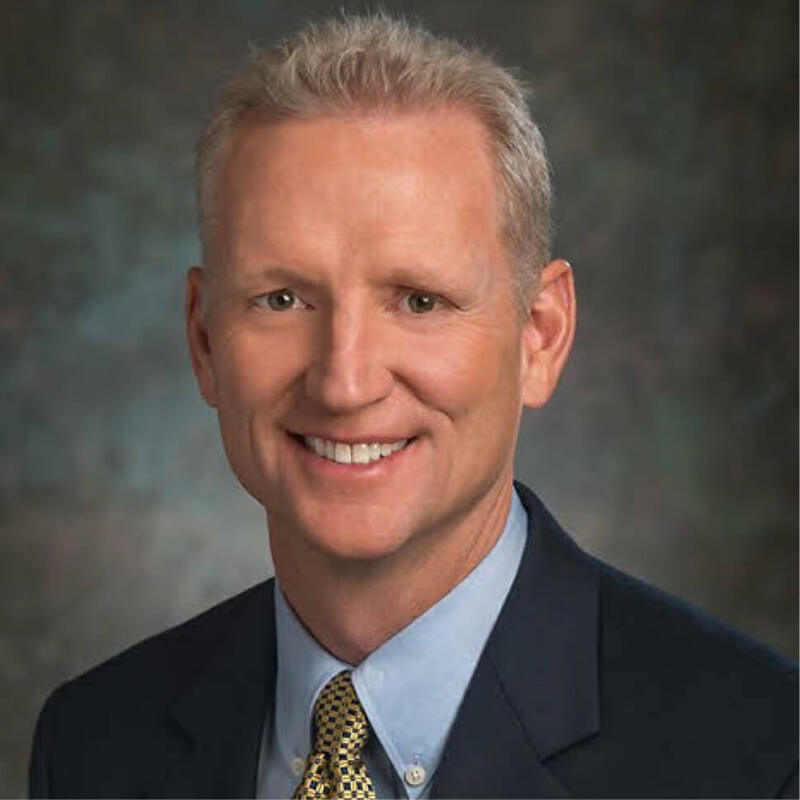 Jon Pederson began his career Midco in 1987, was named Vice President of Technology in 2007 and Chief Technology Officer in 2015; overseeing all technology and innovation at Midco. He designed and implemented MidcoNet Internet services, Midco’s digital phone product, and created Midco’s extensive multi-state fiber network. Jon and his teams were among the first to test and deploy DOCSIS 3.1 and Gigabit level speeds in North America. Mr. Pederson has degrees in psychology and computer programming. He is a member of the Cablelabs® technology committee. 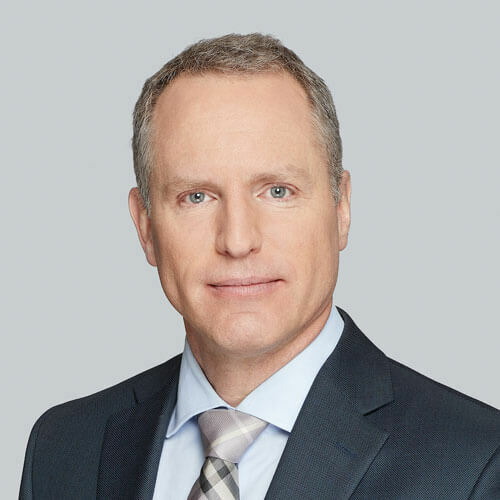 Damian Poltz is the Vice President of Technology Strategy and Networks at Shaw Communications and is responsible for the development, alignment and communication of Shaw’s technology strategy, and the design, planning and evolution of Shaw’s wireline networks and infrastructure. 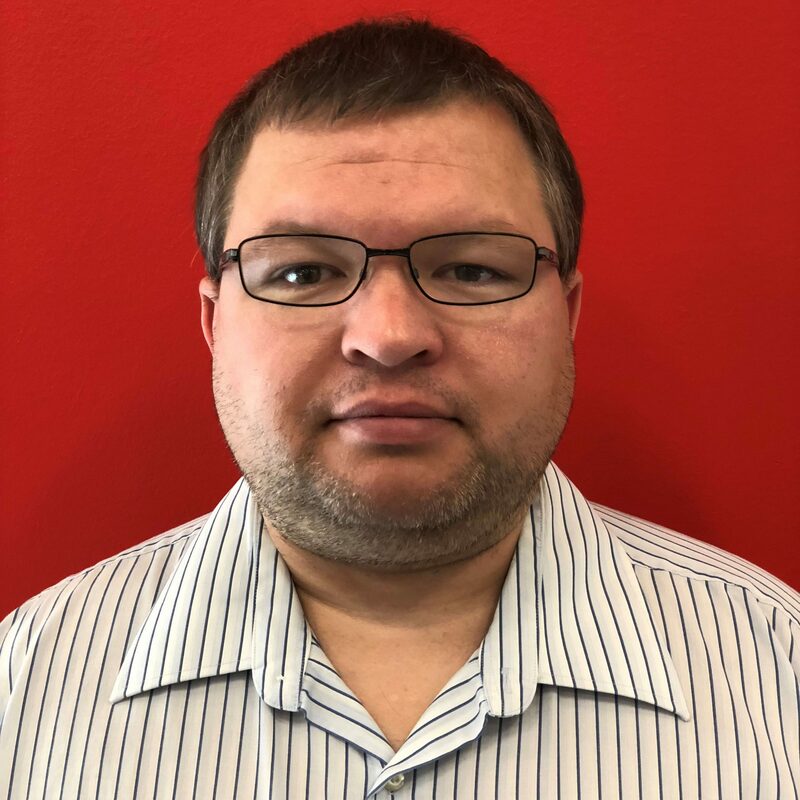 Over the past 20 years with Shaw, Damian has served in a variety of roles including Director of Network Technology, Sr. Director Communication Systems, Director IP Application Services, Sr. Manager Video Application Development, and Manager of Multimedia Communications. 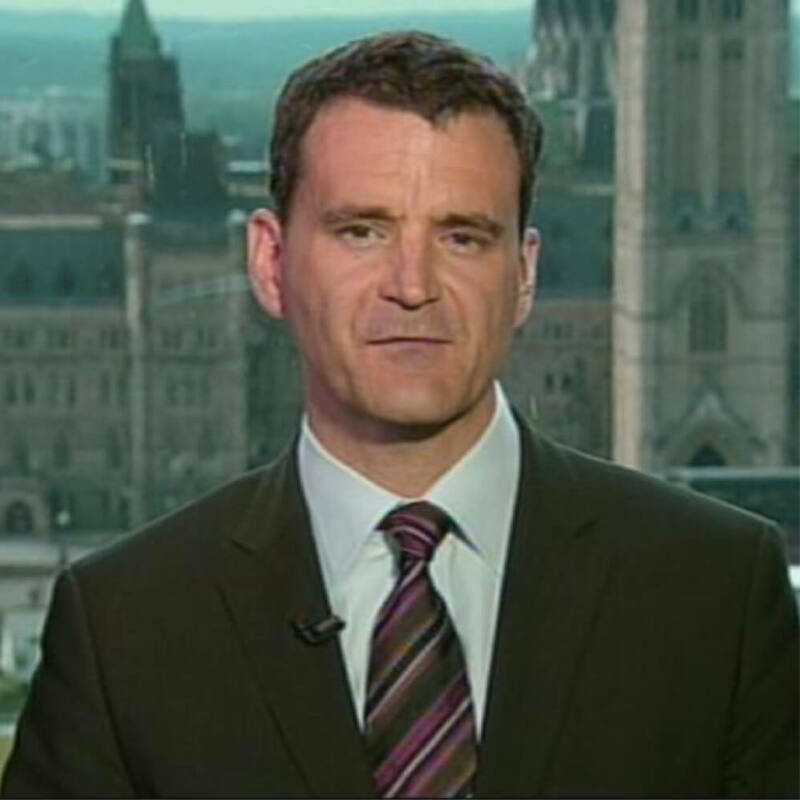 Damian holds an MBA from Cornell University and Queen’s University, and a B.Sc. in Computer Science from the University of Calgary. Jay Rolls is SVP & Chief Technology Officer at Charter Communications in Englewood, Colorado. He and his team have responsibility for Advanced Engineering & Architecture across all lines of business. Jay worked previously at Cox Communications, Pacific Broadband, Excite@Home, BBN (now part of Level3) and in the US intelligence community. Jay received a B.S. in Electrical Engineering from the University of Virginia in 1983 and an M.S. in Systems Management from the University of Southern California in 1988. 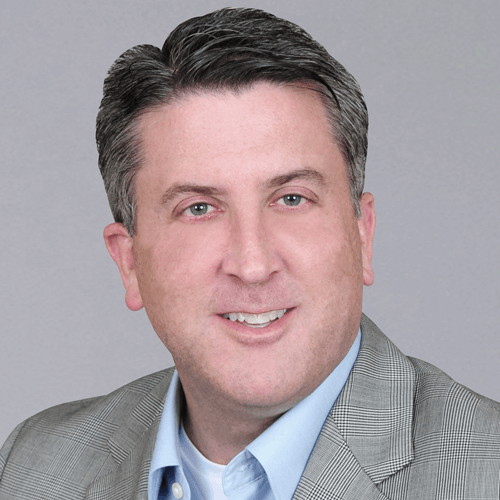 Eric Schaefer brings more than 20 years of experience in the cable and telecommunications industries to his role as Senior Vice President and General Manager, Broadband, Automation and Communications for Comcast Cable. In this role, he is charged with leading the Xfinity Internet, Xfinity XFI, Xfinity WiFi and Xfinity Voice business and technical teams to deliver products which ensure world class customer experiences, and then to manage the products’ performance in the market to ensure growth. Comcast is the largest Internet service provider and one of the largest phone providers in the U.S. with more than 24 million Internet customers and 10 million Voice customers. Throughout his tenure at Comcast, Eric has lead teams delivering industry leading change including the first ‘all-digital’ conversion of a major market cable network, the broadcast advertising ‘split-signal’ targeting solution, the first national SFA deployment and , most recently, the launch of the Xfinity xFI home platform to 15 million eligible subscribers. Previously, as Senior Vice President for Wireless Product Management, Eric was instrumental in launching Comcast’s partnership with Verizon Wireless, managing sales and service level agreements. He also had a number of additional roles with Comcast including Senior Vice President of Sales and Marketing for the regions serving New York and Philadelphia designated market areas, where he developed and deployed programs to improve customer consideration and response rates, Senior Vice President of Sales and Sales Operation, where he restructured sales strategy and deployment and Regional Vice President of Business Development, where he oversaw media planning and purchasing. Before joing Comcast in 2001, Eric was a Vice President and General Manager at Verizon Wireless and PrimeCo Personal Communications, and a National Manager for Customer Service at Silo, a national retail electronics seller. Responsible for leading Edgewater Wireless, Andrew’s broad strategic perspective comes from his work with both multinational equipment vendors and a number of start-up network operators. Andrew has significant multinational experience. 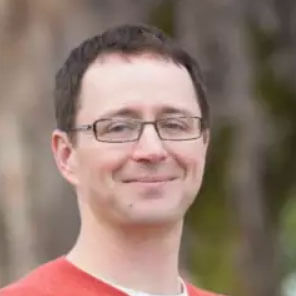 He was based in Asia for seven years where he worked for Newbridge Networks/Alcatel; Silicon Valley-based, InterWAVE Communications and the Commercial Division of the Canadian High Commission (Malaysia). His roles included strategic marketing, international business development and business planning. 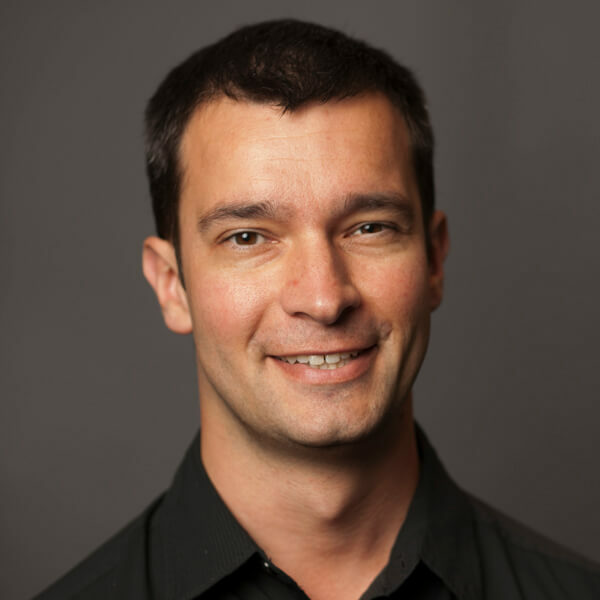 A proven telecom innovator and leader, Andrew founded an innovative GSM operator in Brasil, taking the project from concept to fundraising, license acquisition and launch phases. 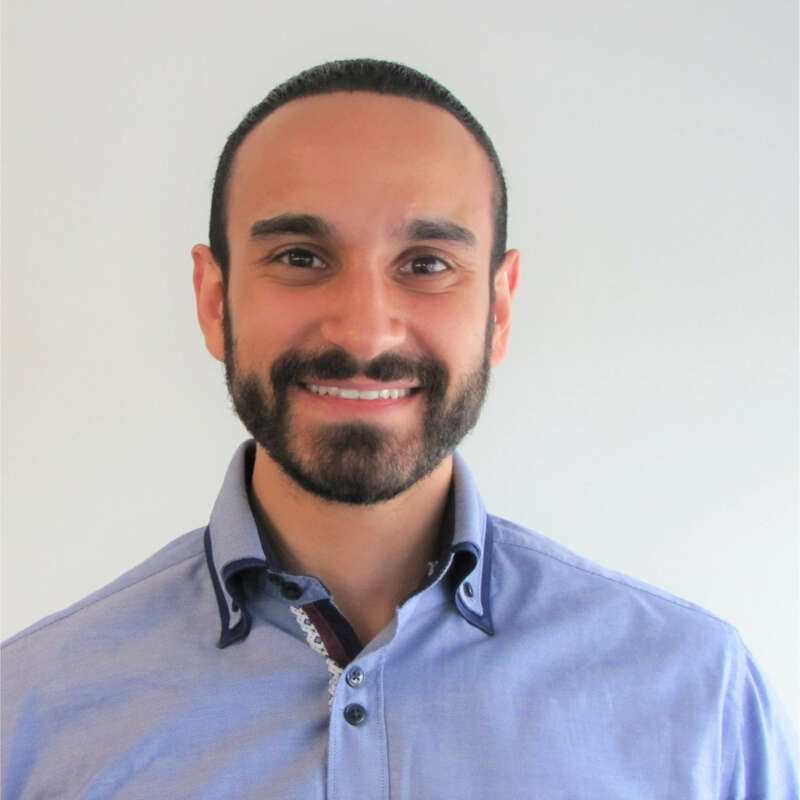 Mr. Skafel holds an MBA from INSEEC (Paris), a graduate diploma from the McRae Institute of International Management (Vancouver) and a BA in Economics & Politics from the University of Western Ontario. Brian Soloducha received his undergraduate degree in Engineering Physics from the University of Saskatchewan. 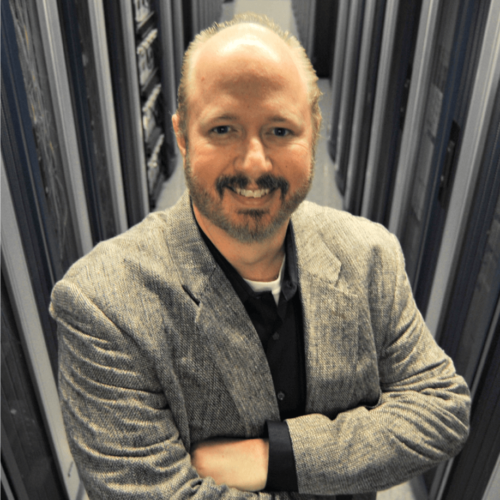 He started his career at Nortel in 2000, and has been at Shaw for 14 years where he’s specialized in the design, deployment, development, and optimization of optical networks. Zoran Stakic is Chief Operations Officer and Chief Technology Officer for the Shaw Communications group of companies and is responsible for the mobile and fixed networks technology strategy, delivery, operations, in addition to new product development, the digital strategy, strategic sourcing and supply chain operations. He also has responsibility for security for the overall Shaw Corporation. Throughout his career at Shaw, Zoran has fulfilled the roles of EVP & CTO and SVP, Technology and Network Operations, where he successfully led the creation of a new centralized technology organization for Shaw. Responsibilities within these roles mainly focused on the management of Information Technology, Engineering, Business & Technology Transformation, Digital Media/Online Experience, Business Intelligence, Product Development and Next Generation Wireless Broadband and Video Services. 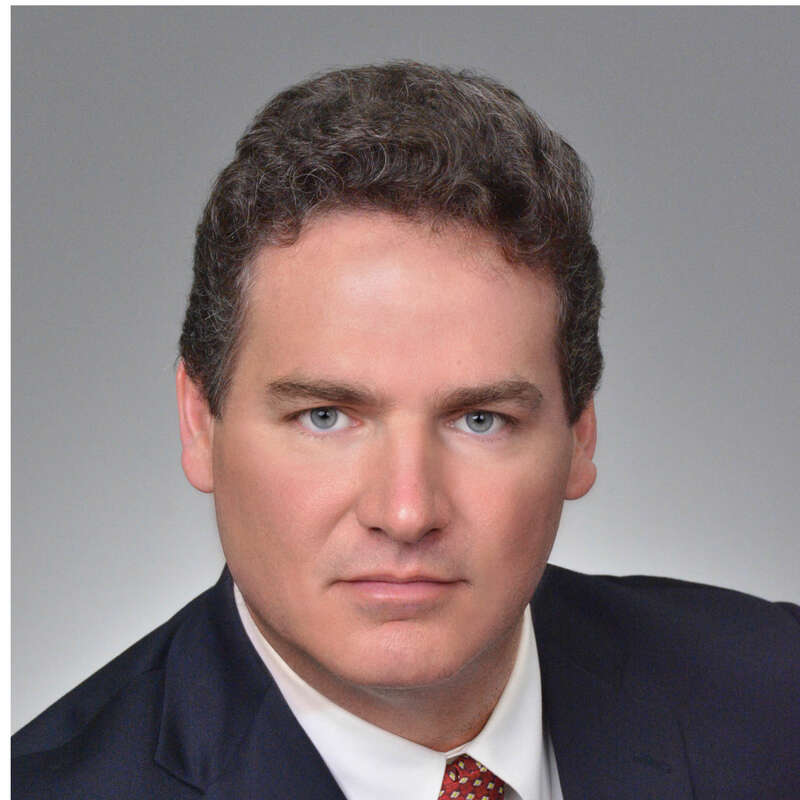 Through his role as a Technology leader within Shaw, Zoran also has the privilege of participating as an active member and serving as company liaison to the CableLabs Technology Committee, SCTE Cable Tech Expo Program Committee in addition to the 5G Americas Board of Governors Committee. 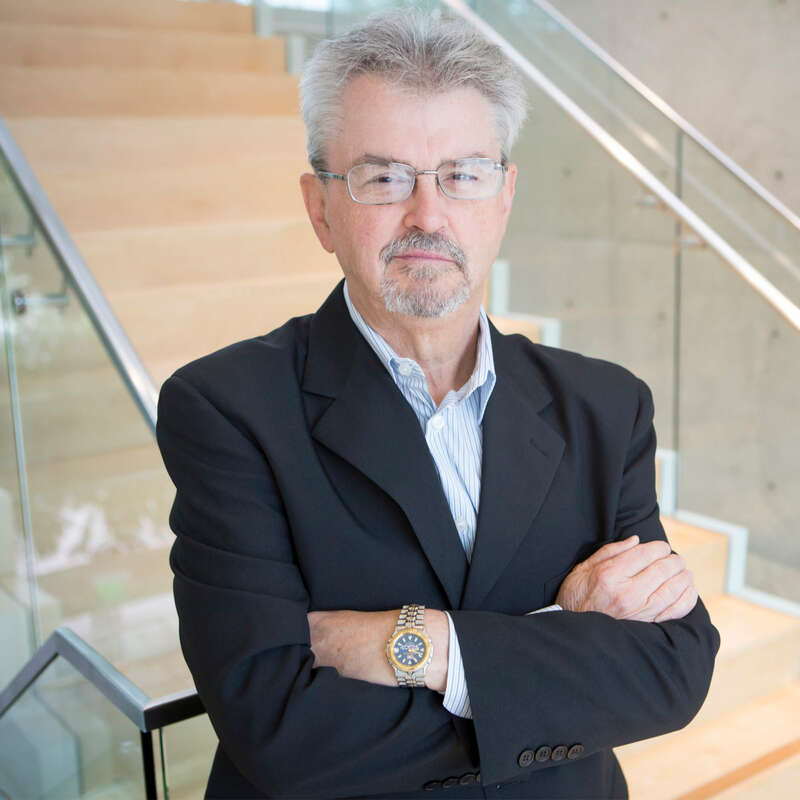 Prior to joining Shaw Communications, Zoran held senior level management positions including Vice President, Information Systems and Technology Solutions at Sprint Canada, as well as, Vice President, Corporate Project Management Office & Strategy Implementation. Zoran holds an MBA from Queen’s University, Masters of Science Degree in Engineering and Master’s Certificate in Project Management. Other highlights include completing the Cable Executive Management Program at the Harvard Business School in addition to the Product Development course at MIT. I lead the Advanced Analytics group for Advanced Engineering at Charter Communications. We develop the near real time data plane infrastructure, analytics data set assets, and at scale predictive, deep learning, and mixed linear and linear programing models to enable network analytics as a foundation for Network:1. We support network architects, engineers, executive management, and machines to identify material and actionable outcomes to make data driven decisions. We focus on the end to end network in such areas as core and access network bandwidth optimization, strategic traffic engineering and capacity, spectral quality, services content behavior, device and network QoS analysis, health, and emerging network specific cost and simulation models. A visionary and results oriented Advanced Analytics and Technology leader with 28 years of industry experience in building competitive technology and data enabled businesses, products, and cutting edge decision science solutions in multiple vertical industries. A proven, adept leader in fluid, demanding start-up, spin-off, and large corporate environments, holding CEO/President/xVP/CTO positions. Track record of building and leading inspired, inclusive and high performance teams. A unique combination of business and technology expertise to move organizations from vision to strategy to pragmatic execution. 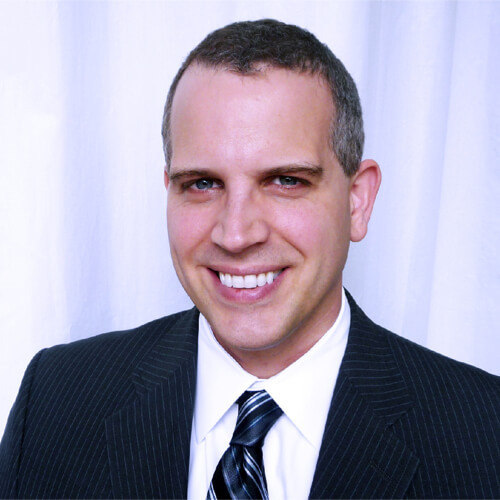 Brady Volpe is Founder of The Volpe Firm, Inc and Nimble This LLC. He has over 25 years of broadband cable and telecommunications industry experience specializing in RF, DOCSIS, PNM, and Internet Protocol. Mr. Volpe has been providing a wide range of troubleshooting, design solutions, services and seminars for cable operators and broadband companies specializing in DOCSIS, System Design, PNM, and Troubleshooting. He is a highly respected published speaker, both domestically and internationally. He also hosts a popular industry Video / Podcast – “Get Your Tech On“. Mr. Volpe holds a BSEE and a MSEE. Mr. Walden began his career working for the U.S. Department of Defense in military research where he was introduced to mainframes, supercomputers and the Internet. He spent two years working on missile guidance technology and three additional years on fuse concept development and 3D imaging technology. Later, while working for defense contractors Comarco and Science Application International Corporation, he became involved with and ultimately managed an early municipal dial-up Internet business. Mr. Walden then began working with Mediacom and founded their internet business with his first broadband deployment in early 1997. Following a series of acquisitions, upgrades and interconnects, Mr. Walden proceeded to launch full DOCSIS broadband service across Mediacom beginning in 1999. In 2001 and 2002 Mr. Walden led the team migrating broadband services from the failing ISP Channel and @Home partnerships respectively. In 2004 he led the technical team developing and deploying Mediacom’s VoIP-based telephone service, which successfully launched in 2005. He also led the formation of Mediacom’s first technical support center, network operation center, data center and lab facilities. Mr. Walden was promoted to Senior Vice President of Technology in 2008 and named Chief Technology Officer in 2015. Mr. Walden currently runs technology and engineering for Mediacom including video, internet, phone and enterprise products. He manages video engineering, operational support systems, network operations, video operations, software development and lab teams. Mr. Walden is the 2002 recipient of Mediacom’s Chairman’s Award, Multichannel News 40 under Forty for 2010 and the 2016 recipient of the NCTA Vanguard award for Science and Technology. 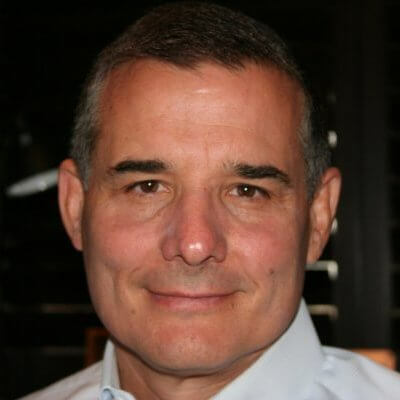 He is a current or former member of Advisory Board, Technical Board or Technology Committees at Pace, Tivo, Cisco, Arris and Cablelabs with twenty-two years of experience in cable and twenty-nine years of experience in the Internet. 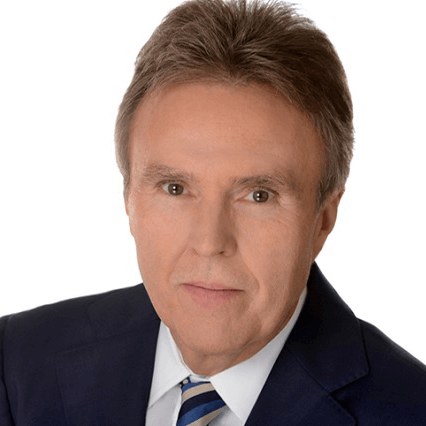 Tony G. Werner serves as President of Technology and Product for Comcast Cable. In this role, he is responsible for overseeing all aspects of the Technology and Product organization, including innovation, development and operations. The Technology and Product team leads the design and development of Comcast’s world-class customer-facing products, including the X1 Entertainment Operating System, second-screen apps, and ultra-fast home Internet and Wi-Fi. The organization also leads software development, systems engineering, next-generation access networks, cloud computing, technical operations and R&D within Comcast. Under Tony’s leadership, Comcast has completed major platform developments, including DOCSIS 3.0, the Digital terminal Adapter/all-digital transition and the X1 platform. Today the company is delivering product innovation faster than ever before. In 2015, Comcast became the first company to connect a gigabit-class DOCSIS 3.1 modem on a customer-facing network. The Technology and Product organization also designs and builds new X1 features like Kids Zone, the Sports App and X1 Voice Remote. Prior to joining Comcast in 2006, Tony served as Senior Vice President and Chief Technology Officer for Liberty Global, Inc., in Englewood, CO, where he led the company’s global strategy for video, voice and data services. He has more than 25 years of engineering and technical management experience, having also held senior management positions with Qwest Communications, Aurora Networks, TeleCommunications, Inc. (TCI)/AT&T Broadband, Rogers Communications, Inc., and RCA Cablevision Systems. Tony serves as President and Chairman of the Board of Directors of the Society of Cable Telecommunications Engineers (SCTE) Foundation (2015-16 term). A graduate of Dakota County Technical College in Rosemount, MN with a degree in Telecommunications, Tony resides in Philadelphia. Mr. Whitney has spent the past 25 years serving in a diverse set of development & leadership roles at GCI. He joined GCI in 1993 in Information Technology and in 1997, moved into Product Development where he spearheaded the company’s launch of Enterprise data services and residential DOCSIS broadband. In 2012, he was promoted to Vice President of Data Services and subsequently in 2014 to lead Product Management and Development for all GCI Voice, Internet, Video, and MNO-based wireless services. He is a key advisor to the senior executive team on product strategy and technology innovation efforts. In addition, he currently serves on the Cable Labs Technology Committee in the role of CTO & Strategy Officer for GCI’s quad play services. 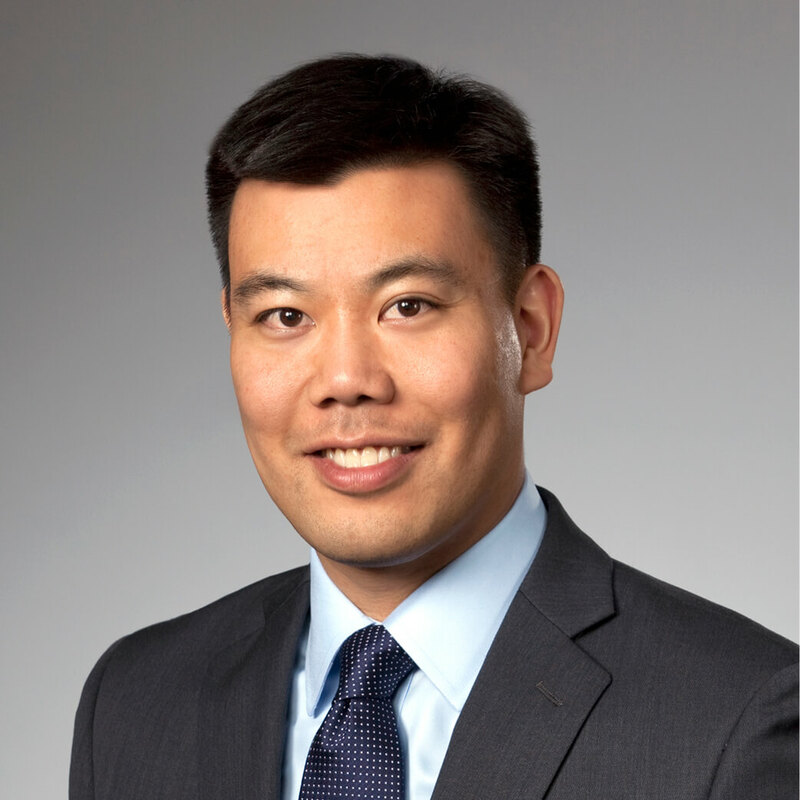 He holds a BA in Japanese language from Brigham Young University and an MBA from Alaska Pacific University. 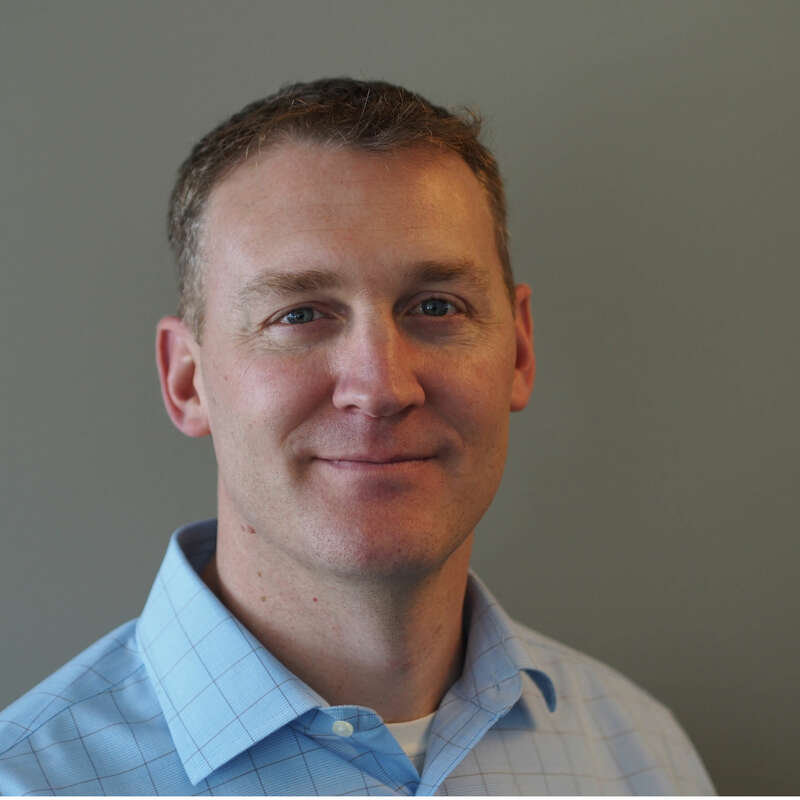 Larry Wolcott is an Engineering Fellow at Comcast Technology and Product based in Denver, Colorado. Larry began his software career in 1986 and has been doing research and development in communications technology for the last 19 years. His main area of focus has been cable operations including tools, technology and over a dozen directly related patents. His career started with his first commercial software publication in 1986. In 1993, Larry was a founding member of Computer Components, Inc., becoming Vice President of Operations. Eventually he departed from CCI to accept the position of Technology Manager for the sporting goods division of Huffy Corporation, based in Wisconsin. Then in 1999, Larry moved his career to technology consulting in Denver. Finally, in late 2006, Larry accepted a principal engineering position with Comcast. Larry is a founding member and active contributor to the CableLabs Proactive Network Maintenance (PNM) working group. 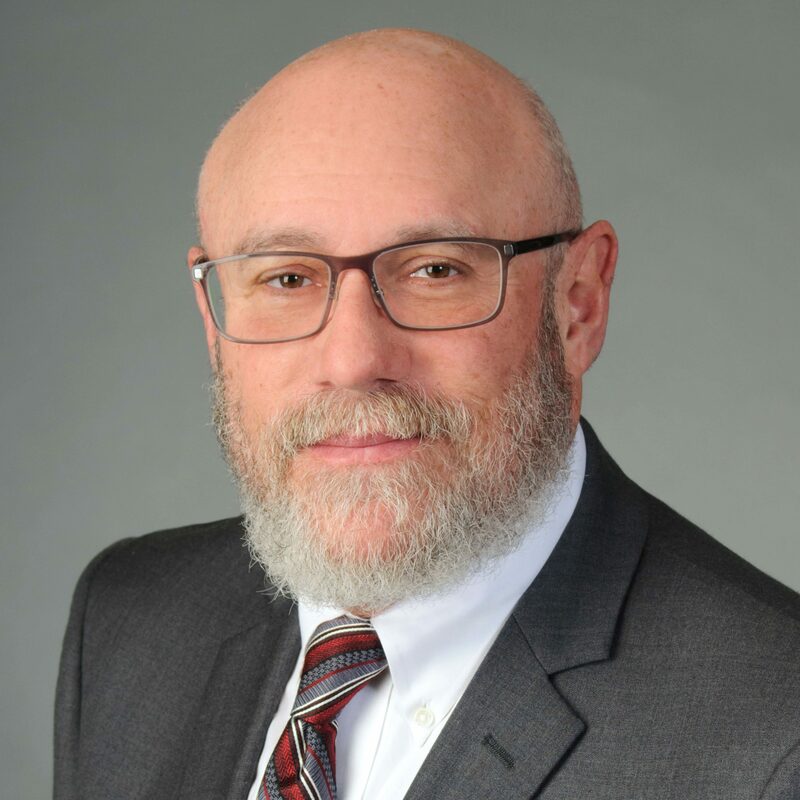 He also serves as the chairman for the SCTE network operations subcommittee for PNM, Comcast ambassador to SCTE and board member of the Rocky Mountain Chapter. 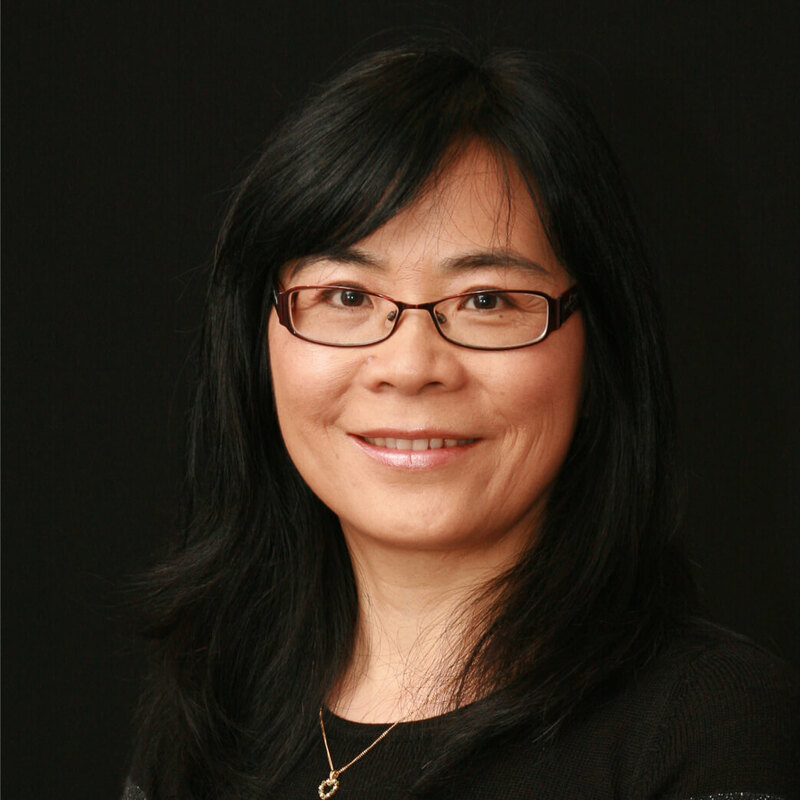 Dr. Peiying Zhu is an IEEE Fellow and Huawei Fellow. She is currently leading 5G wireless system research in Huawei. The focus of her research is advanced wireless access technologies with more than 200 granted patents. She has been regularly giving talks and panel discussions on 5G vision and enabling technologies. She served as the guest editor for IEEE Signal processing magazine special issue on the 5G revolution and IEEE JSAC on Deployment Issues and Performance Challenges for 5G. She co-chaired various 5G workshops in IEEE GLOBECOM. She is actively involved in 3GPP and IEEE 802 standards development. She is currently a WiFi Alliance Board member. Prior to joining Huawei in 2009, Peiying was a Nortel Fellow and Director of Advanced Wireless Access Technology in the Nortel Wireless Technology Lab. She led the team and pioneered research and prototyping on MIMO-OFDM and Multi-hop relay. Many of these technologies developed by the team have been adopted into LTE standards and 4G products. Please email events@cablelabs.com with any questions about onsite registration.